Grange Hall used as school 1900? Description From the estate of Blanche Jones, Jr. of Mulino, Oregon. Photo mounted on cardboard. Edges worn, black & green splatters; yellow spots. 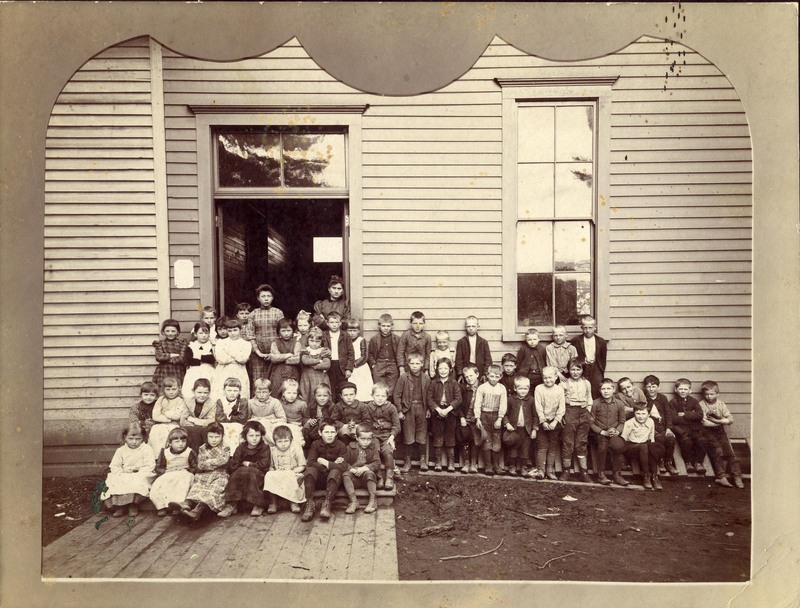 Transcription Grange Hall used as school 1900? Physical Description H 7"" x W 9""